It appears that the yarn type listed, worsted weight, is incorrect. Based on the gauge, this must be worked using a chunkier yarn and not a worsted weight. I took this pattern and some chunky red yarn that I had in my stash to my local yarn store and they told me that the gauge directions made no sense with a worsted weight. 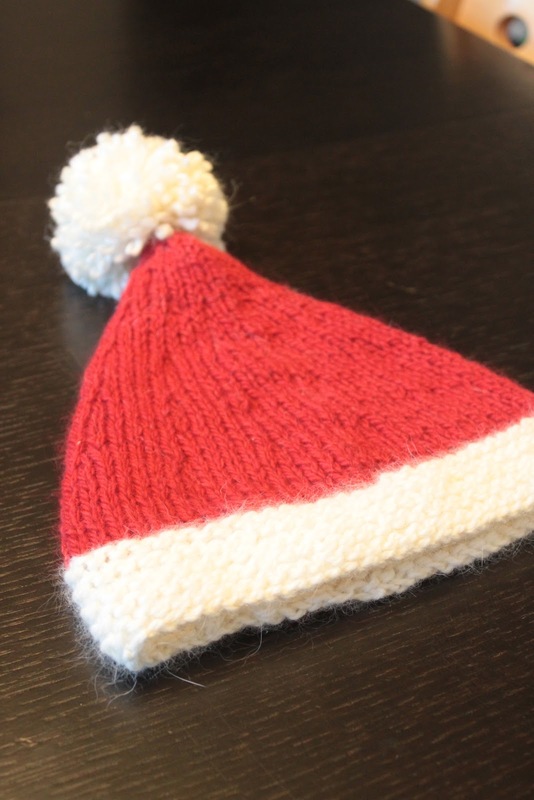 I ended up buying a chunky white yarn to use with my red one, but the hat turned out too big for my 17 month old nephew’s head. I will redo it using US 9 DP needles and a less chunkier white yarn. Hi there. I’m so sorry about that!! In all honesty, I made up this pattern when I was a fairly new knitter and did not understand a lot of ins and outs of knitting patterns. I have more experience now and need to make two more hats, so I’m going to try to make it clearer. The gauge of the yarn I originally used is Aran. 4 sts=1″ on US 9. Again, I apologize for the time you lost making the hat too big.